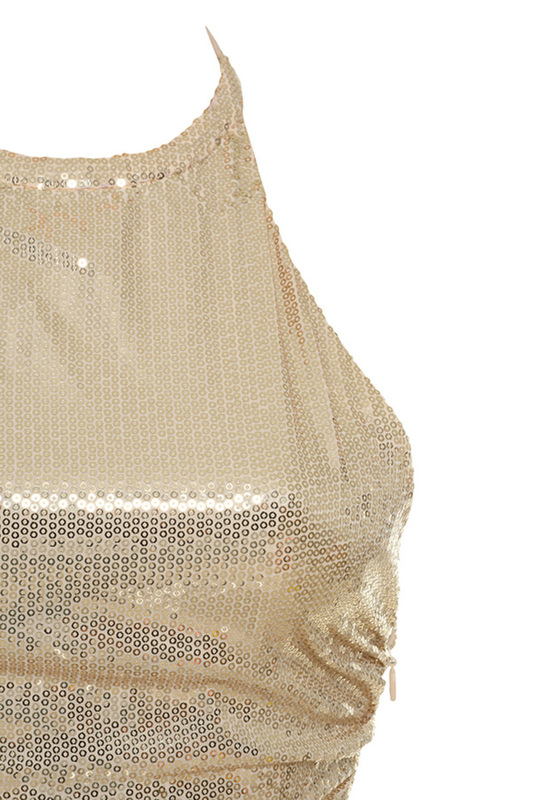 Oh-so-glam 'After Party' is sequin perfection. 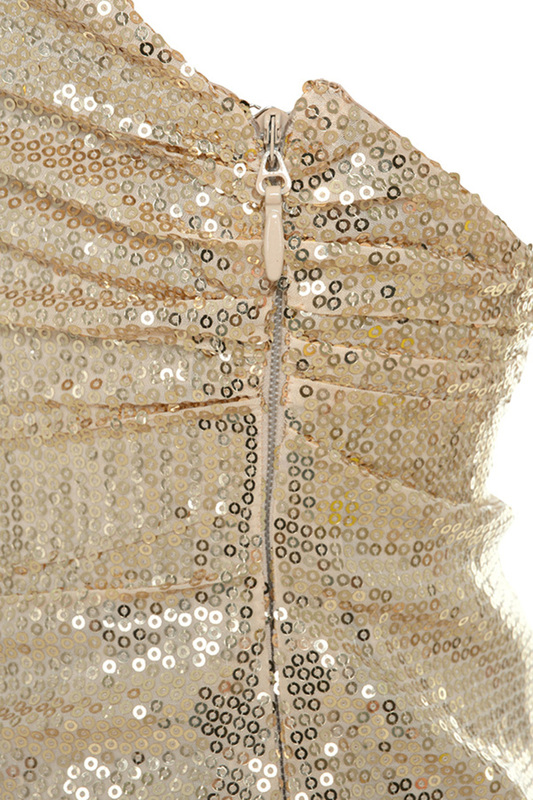 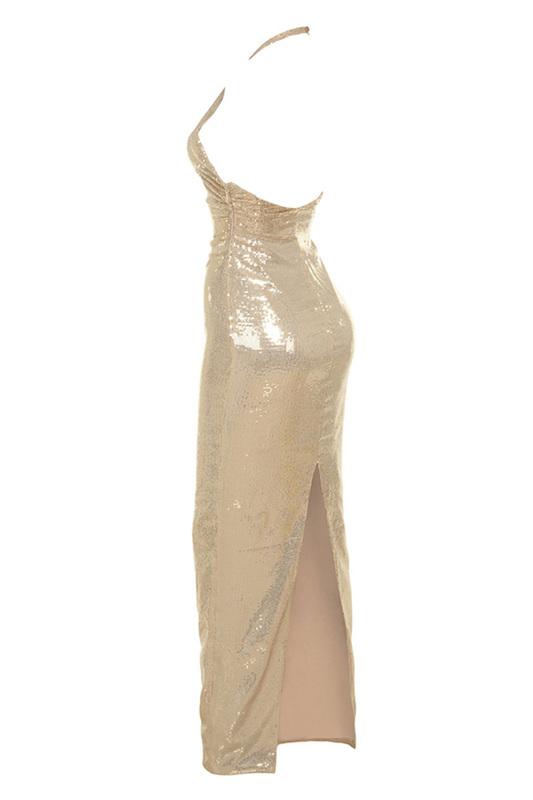 Made from soft and fine sequinned fabric, 'After Party' has a halter neck, backless design. 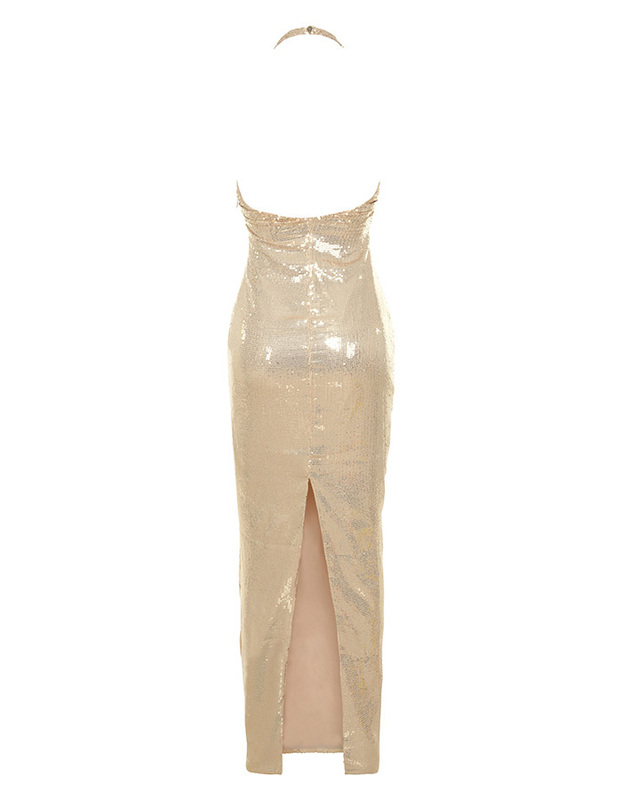 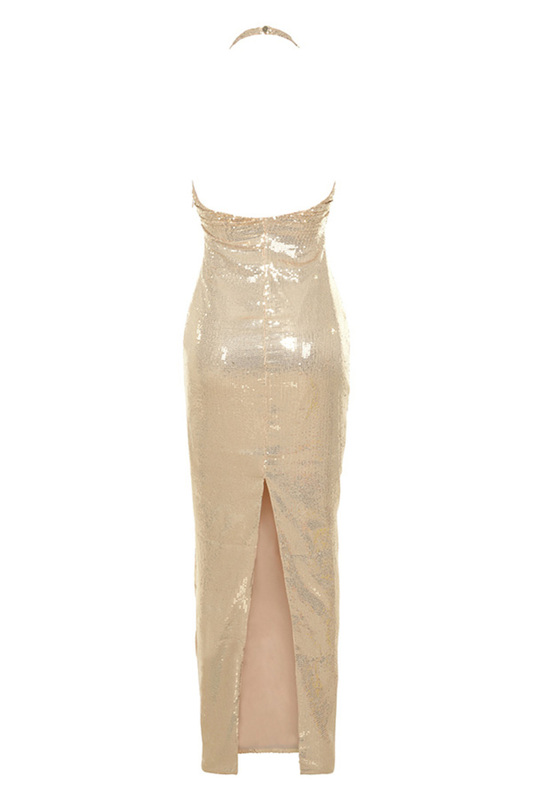 Floor length skirt with back vent finishes the shimmering look. 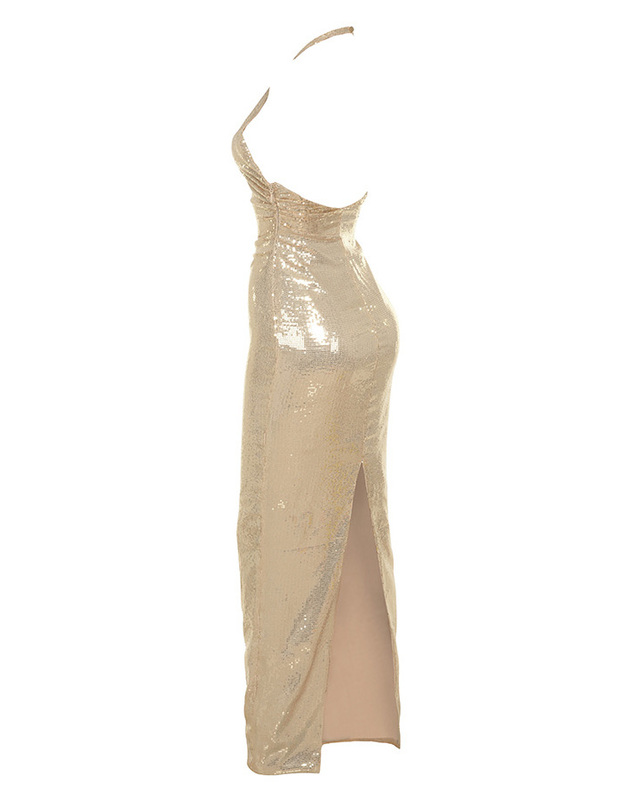 Team yours with barey there sandals in gold for a flawless look.